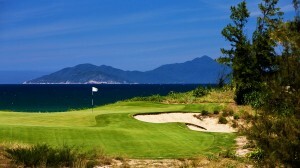 Another Ron Fream masterpiece (he also designed Jeongsan Country Club) this 36 hole golf club opened for business back in 2001, and is a firm favorite with locals, expats and golf vacationers.  The par 72 courses run at 7,011yards (Hill Course) and 7,056 yards (Lakes Course) through wonderful scenic countryside and former rice paddies, just 30 kms from Ho Chi Minh City. 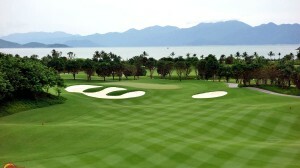 Built on some hills, in fact there are some stunning views from the course back to the city. 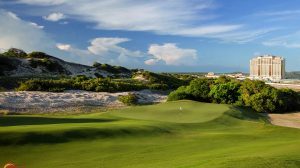 Both courses have used Tifdwarf Bermuda grass and the greens can roll anywhere between 8 – 10 on the stimp meter. 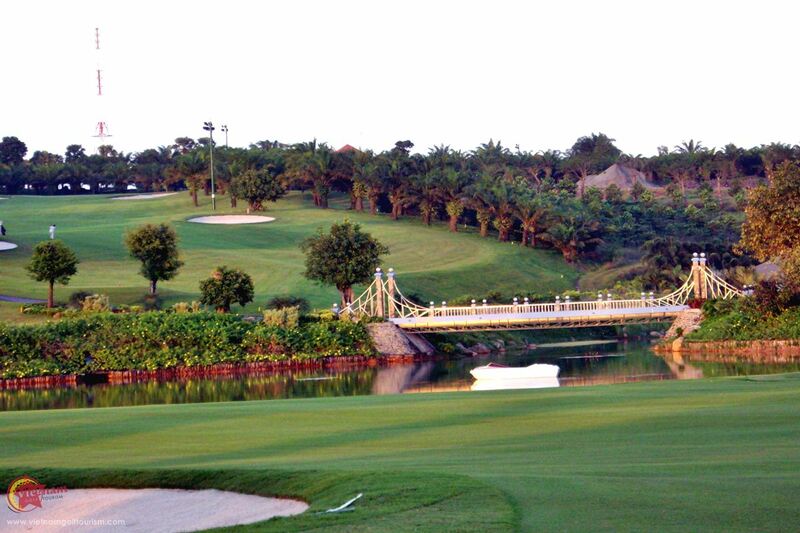 Fream has added rolling fairways and large undulating greens framed by large oil palms to their Hills course, while the Lakes course has several water hazards and high lipped bunkers. 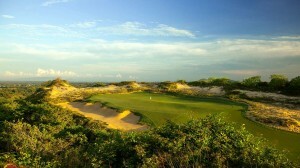 So accurate shots and good putting are the name of the game here. 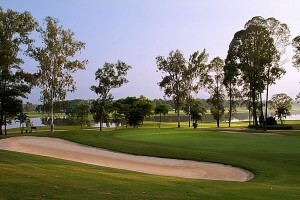 The club’s signature hole, the par 3 No 13 on the Hill’s course, actually offers two greens with the shorter option surrounded by the Great Wall of Long Thanh. 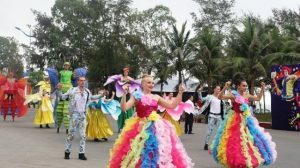 Again an interesting challenge! 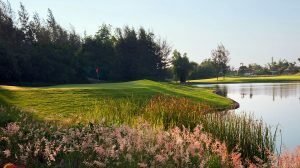 Both courses are presented in tip top condition, and it is worth noting that high handicappers may prefer to play their Lakes course, as it is a bit more forgiving being fairly flatter. 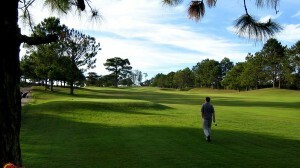 On a practical note both courses are walking courses, so carts here are optional. 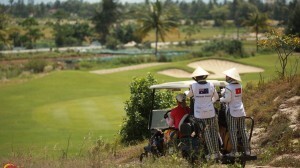 The club’s caddies (50% are male) are very professional, and several are also single handicappers, so can give you some excellent tips on lowering your score. 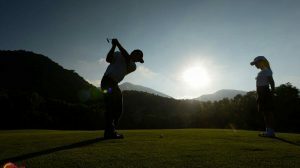 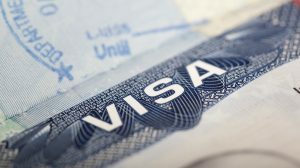 Apart from some first class golf, their clubhouse is also excellent with some very fancy locker rooms, plus a restaurant serving local and international dishes. 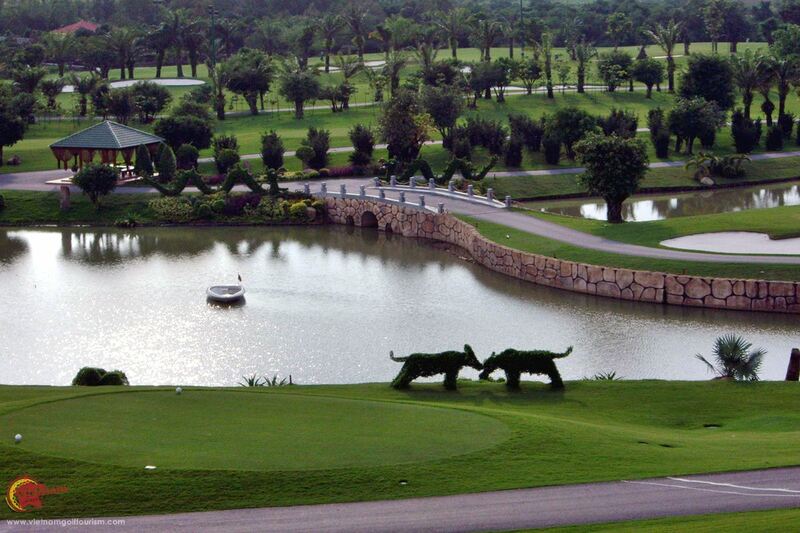 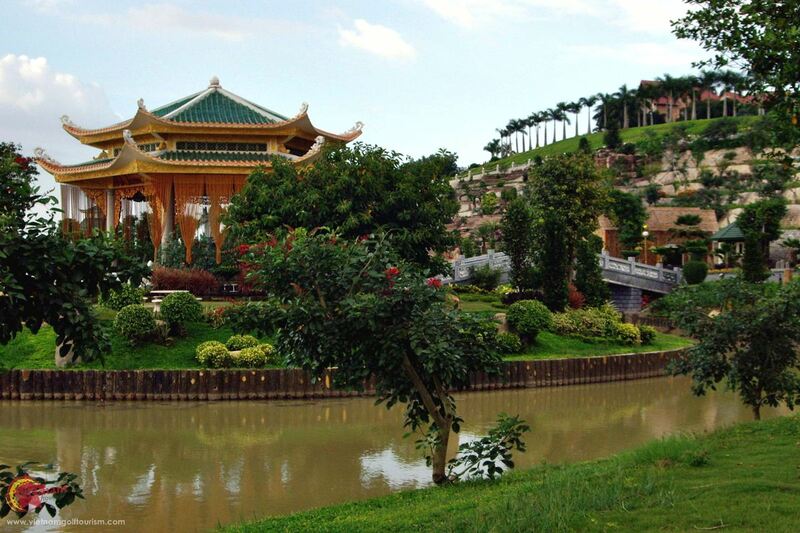 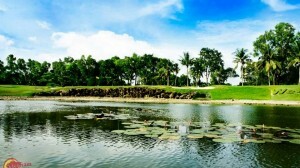 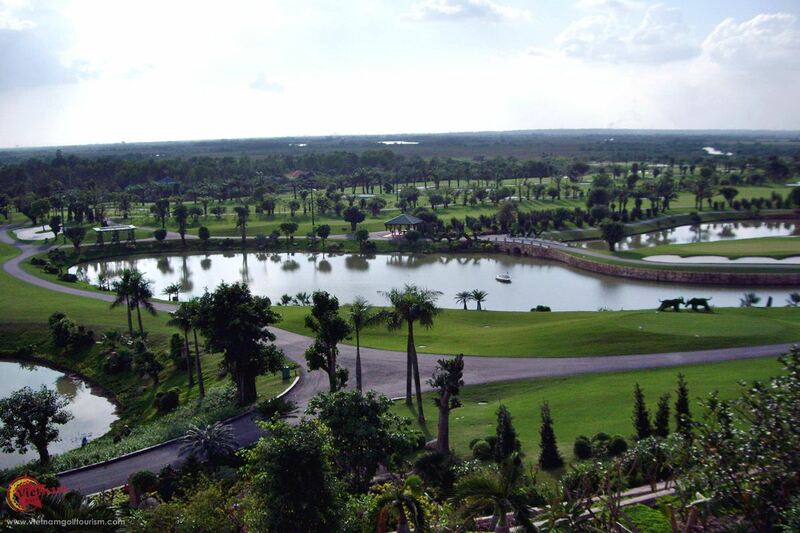 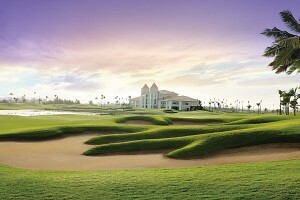 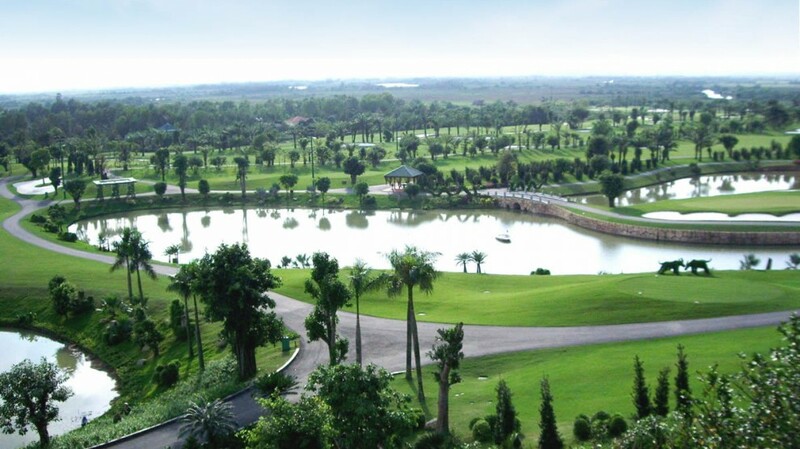 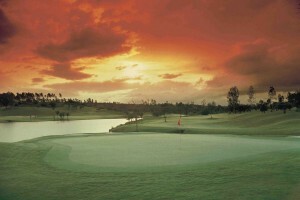 Long Thanh is a very enjoyable golfing experience close to the city.